New Delhi, India - March 04, 2017: Delhi metro train is passing through a less crowded metro station in New Delhi in the noon time. 4k00:12ISTANBUL, TURKEY -AUGUST 21, 2015:Interior of metro Bahcelievler station in AUGUST 21, 2015 in Istanbul, Turkey. 4k00:19BARCELONA, SPAIN, circa May 2017: Crowd People using train, underground, metro, subway. Train arriving at gate, departure. Arrivals. Anonymous passengers.Espanya station is for Magic Fountain. 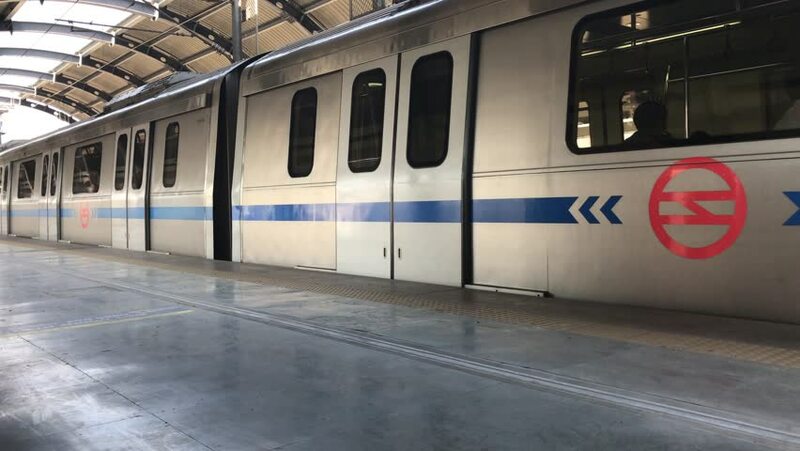 4k00:30New Delhi, India - March 04, 2017: Delhi metro train is passing through a less crowded metro station in New Delhi in the noon time.